In the past few years, we have covered some amazing games here. You don’t always need a badass racing or action game to have fun playing on your iOS device. 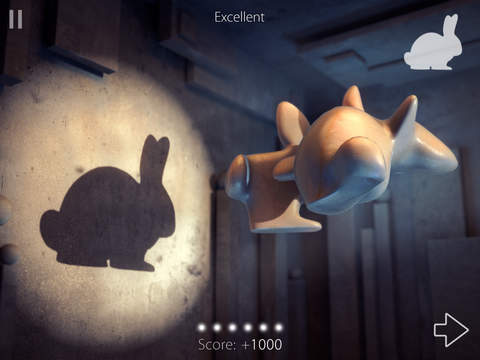 Take Shadowmatic for instance: this is a fun game that combines amazing visuals with fun puzzles to help you kill time. Your goal is to rotate abstract objects to find recognizable silhouettes in projected shadows. The game has beautiful visuals and 9 rooms for you to take advantage of. Each room has its own atmosphere and music. You get over 70 levels. When you need help, there are hints available for you. Players can experience new levels in a non-linear fashion. The game runs well on iPhones and iPads. 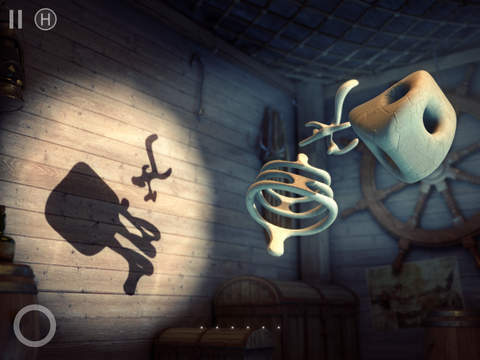 Shadowmatic looks beautiful and provides you with relaxing and entertaining gameplay. Sets you back under $3 at this time.